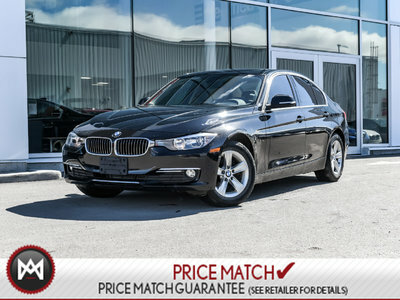 Details 2015 BMW 320i NAV, LUXURY, AWD. 2015 BMW 320i xDrive Sedan with around 45,000kms. Car is equipped with luxury line package and navigation package. This will give you things like sunroof, heated seats and steering wheel, 18" alloy wheels, leather seating surface and much more. Financing options availible. Only at Elite BMW, Ottawa's BMW superstore!